It will take massive citizen mobilization to stop big parts of this abomination from coming into law. The bars opened early in Washington and elsewhere last Thursday, as more than 19 million Americans tuned in when the networks and cable news channels carried live former FBI director James B. Comey’s riveting testimony in the intensifying scandals around President Trump. The media cover Trump’s derelictions 24/7. Not surprisingly, Democrats tend to talk about what grabs the most airtime. Lost amid the din are true infamies—legislation that the Republican Congress is pushing that poses a direct threat to millions of Americans. 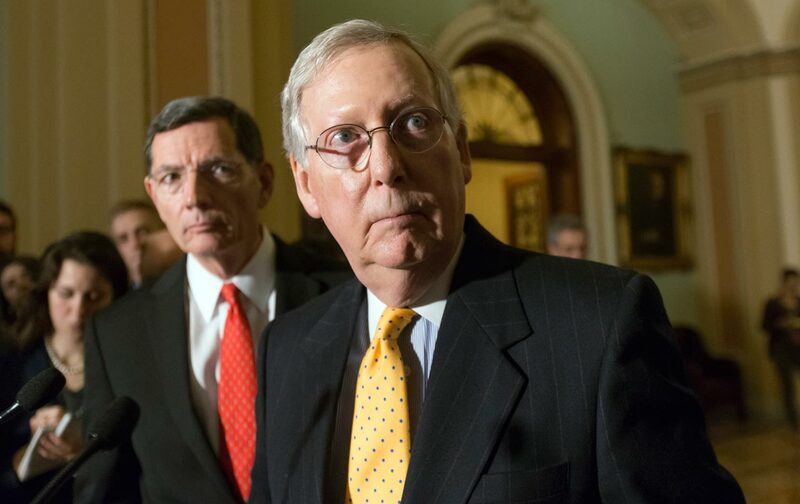 In the Senate, majority leader Mitch McConnell (KY) reportedly may have the Republican votes to pass a Senate replacement for Obamacare. House Republicans just passed sweeping bank deregulation. While the media fixates on Trump, Republicans are rushing through legislation that will deprive millions of Americans of health-insurance coverage and open the way for another Wall Street wilding. The Senate health-care bill represents the most immediate threat. Thirteen male Republican senators have been meeting in private to draft a bill. No one else knows what’s in it. There have been no hearings, no public debate. Democrats and the public are completely locked out. McConnell’s plan is to release a bill later this month, get a rapid Congressional Budget Office estimate of its effects, and force a vote before the July 4 recess. Senators will vote on a bill to reform one-sixth of the nation’s economy and involving the health care of 140 million Americans that most senators will have had no time to read.